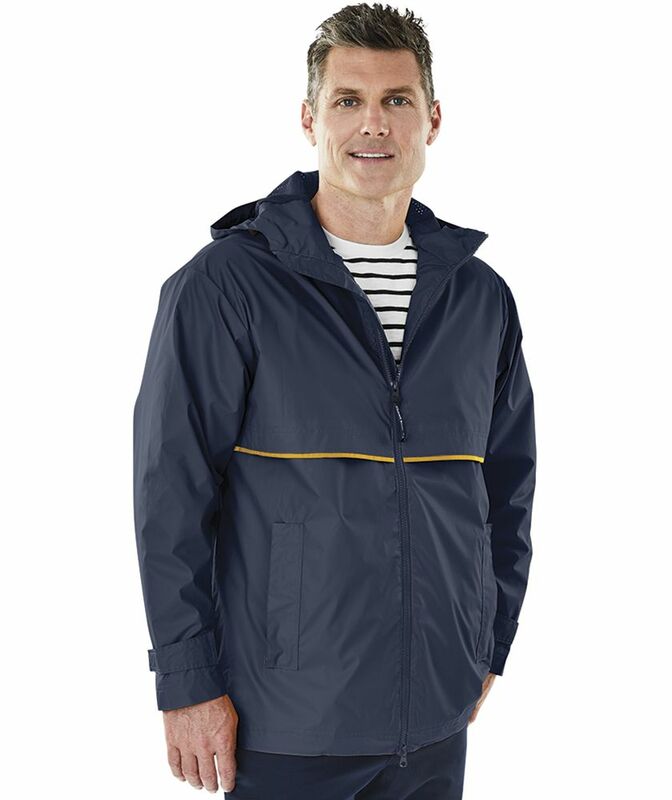 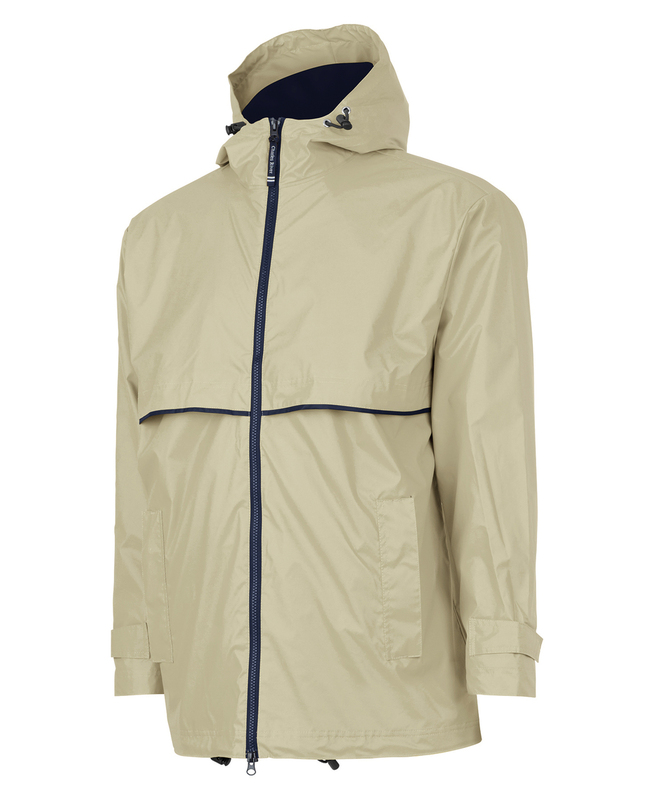 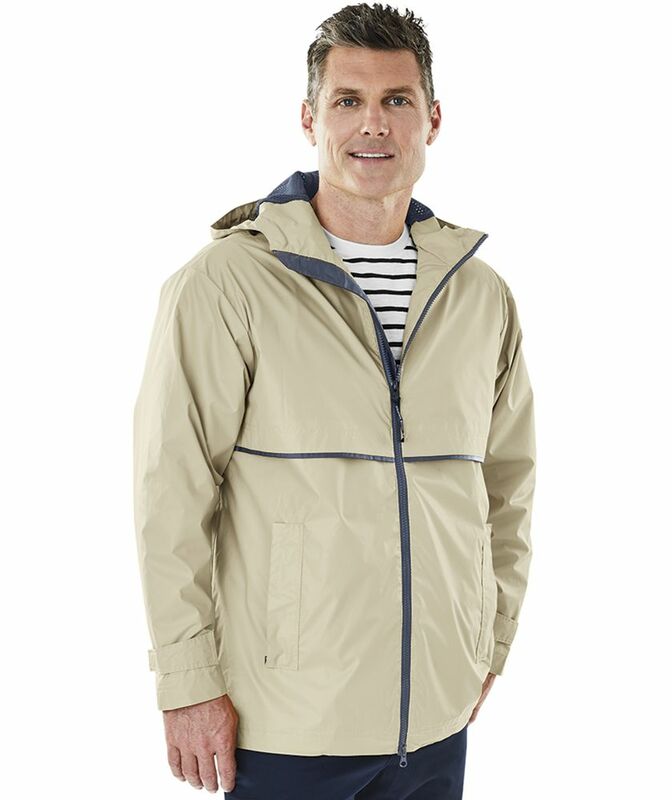 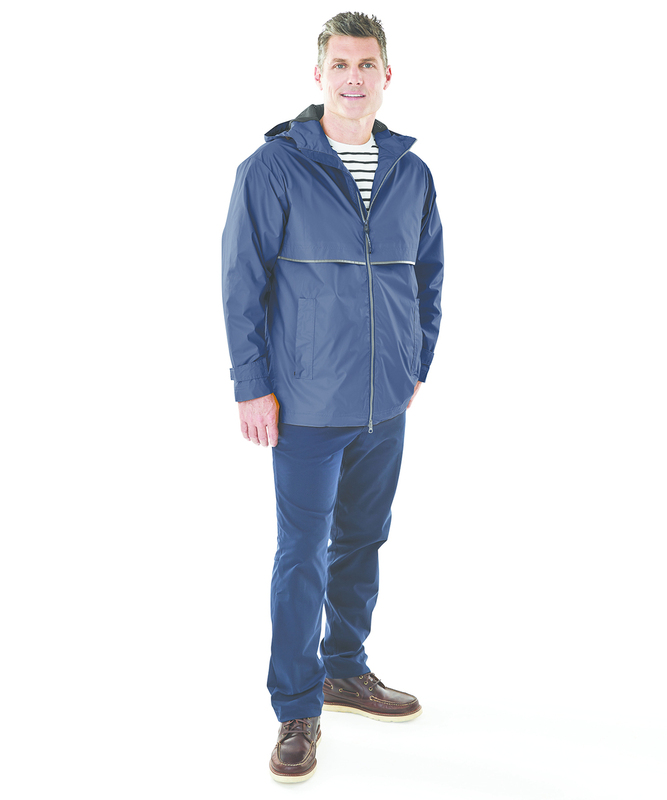 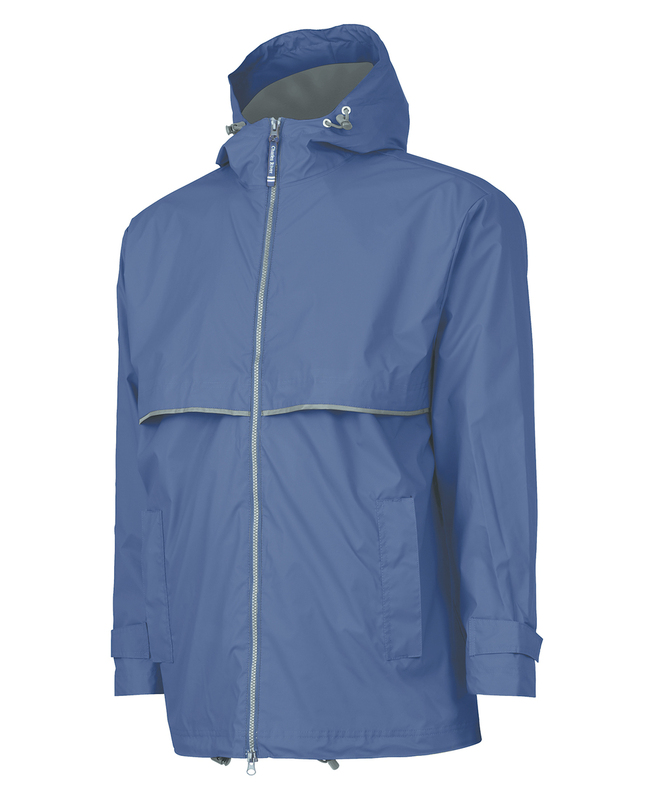 Wind/waterproof New Englander Polyurethane bonded to a woven backing to provide additional fabric strength. 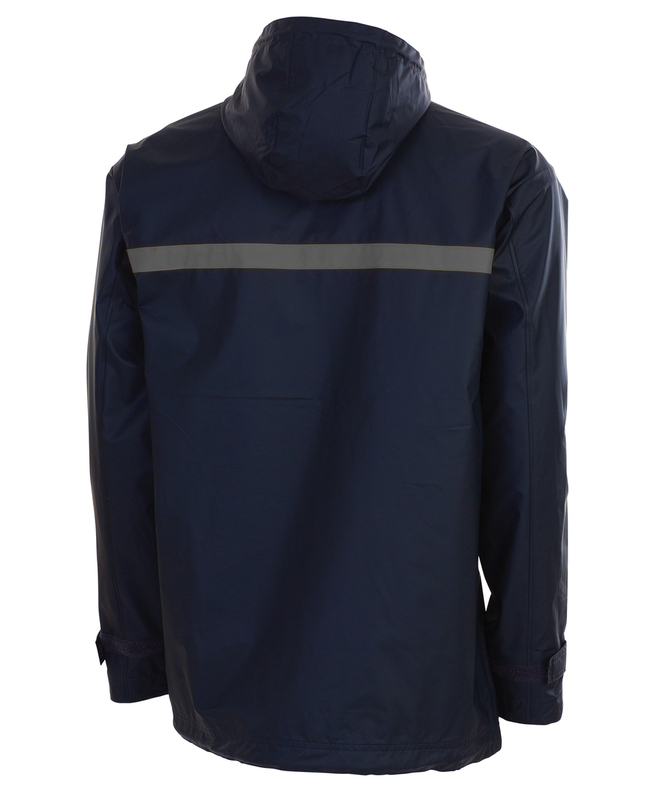 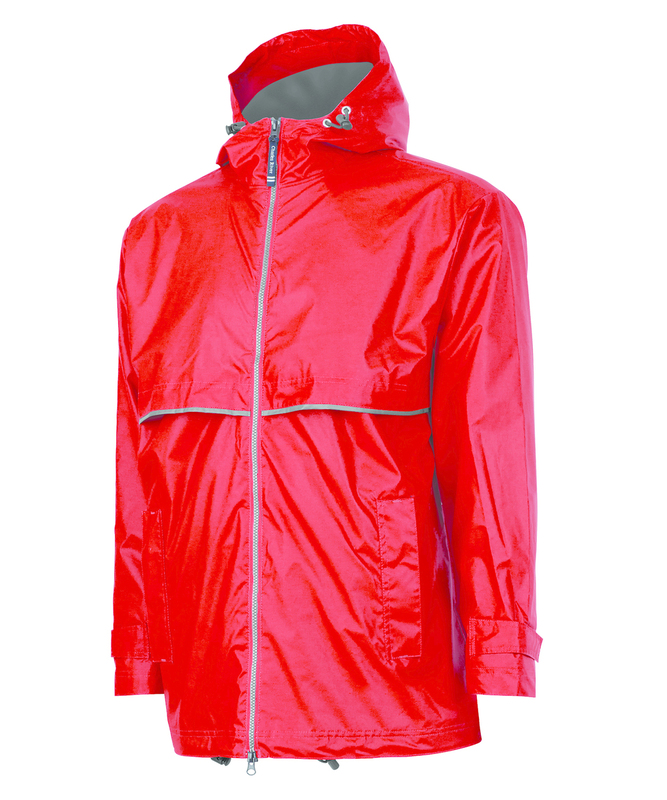 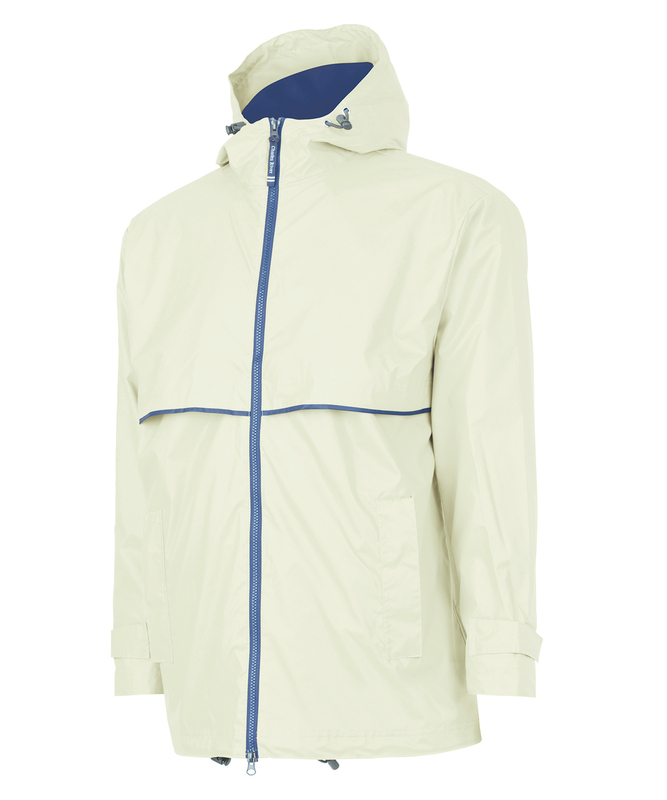 Lined with contrast-colored mesh for air-flow circulation and taffeta nylon lining in sleeves for easy on/off. 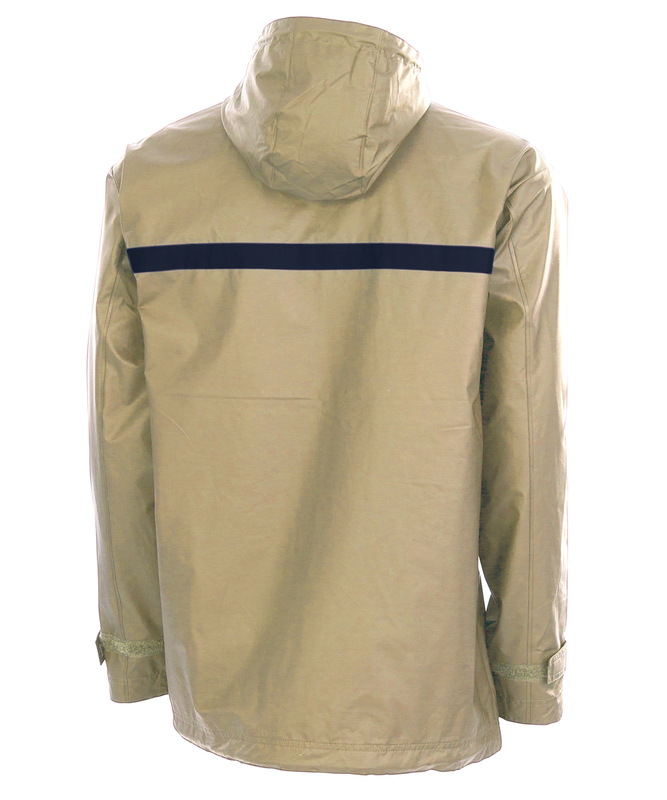 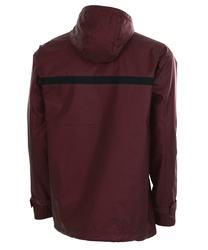 Hood and hem with adjustable shockcord drawstring. Front-vented capes provide easy decorating access. 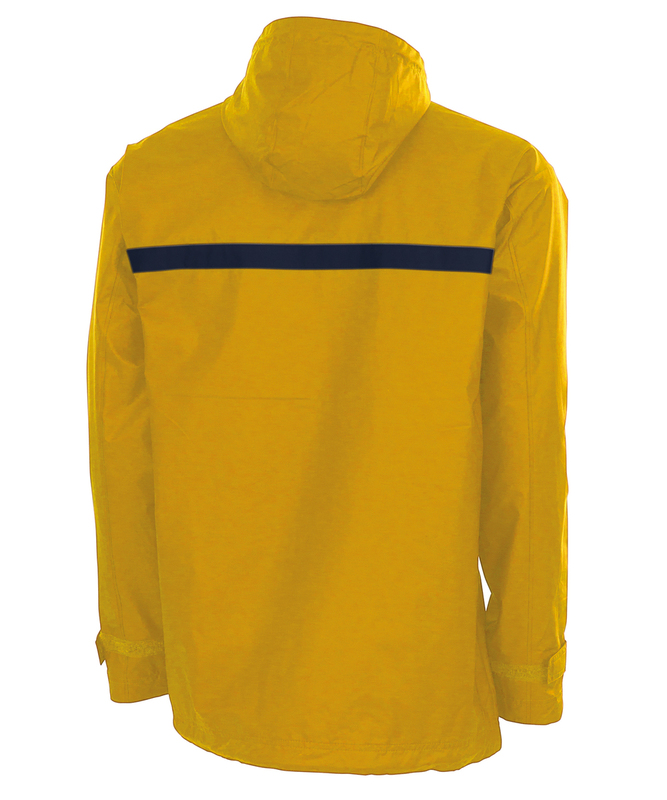 Contrast-colored stripe accent on front and back. Two-way zipper allows for freedom of movement. Covered zipper side pockets and adjustable tabbed cuffs with hook & loop closure. Generously cut.